Beep and his best friend Bob hatch a plan to save Halloween—and their school—in this third book in the hilarious, action-packed Beep and Bob series! It’s October in space, and Bob is getting excited for his favorite holiday: Halloween. When Bob tells Beep that soon they’ll get to dress up like monsters and get as much free candy as they can carry, Beep thinks he has gone to heaven. But Lani informs them that Halloween isn’t celebrated at Astro Elementary. Bob cannot imagine life without Halloween! He appeals to Principal Quark, but with no success. Determined to save Halloween, Bob and Lani organize a secret club: SCARES (Scary Costumes Are the Right of Every Student, or, more truthfully, the Society of Candy Addicts who Rely on Energy from Sugar). As the secret club grows, Halloween fever invades Astro Elementary. Unfortunately, a horde of grotesque aliens, attracted by the treats, also invades the school on the last day of the month. With everyone in costume, no one can tell who’s who. 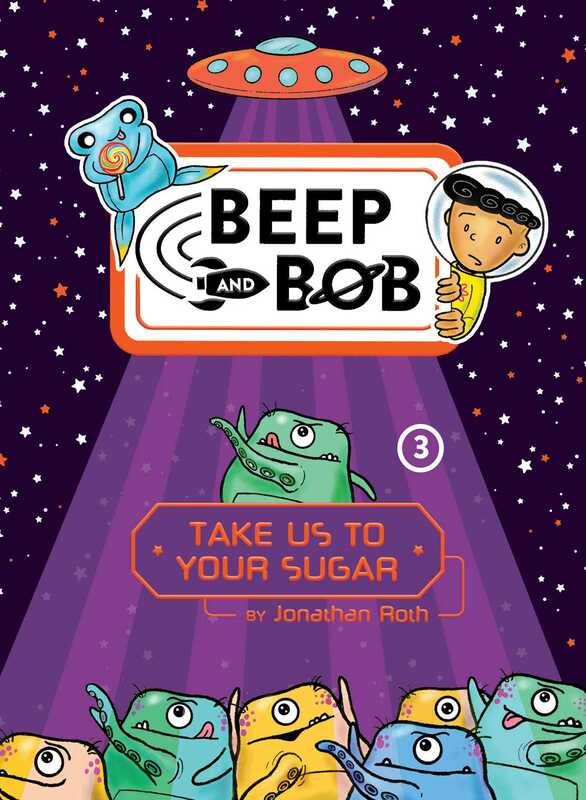 Beep and Bob may have saved the holiday, but can they somehow use their sugar-addled wits to save the school?